Did you know that since prohibition, Hudson Baby Bourbon is the first legal pot still whiskey produced in New York? Before prohibition farm distillers were a common sight in the state of New York. There were more than 1000 alcohol makers producing spirits from local grains and fruits. 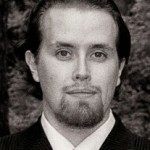 Since 2005, Tuthilltown Spirits has been doing their best to get New York back on the whiskey map. Along with vodka, gin and liqueurs, they have bourbon, grain, rye, 100% corn and single malt whiskies in their portfolio. The name Hudson whiskey comes from the location of Hudson valley), where Tuthilltown’s distillery and visitor center are located. They have an onsite restaurant serving food made out of local ingredients. 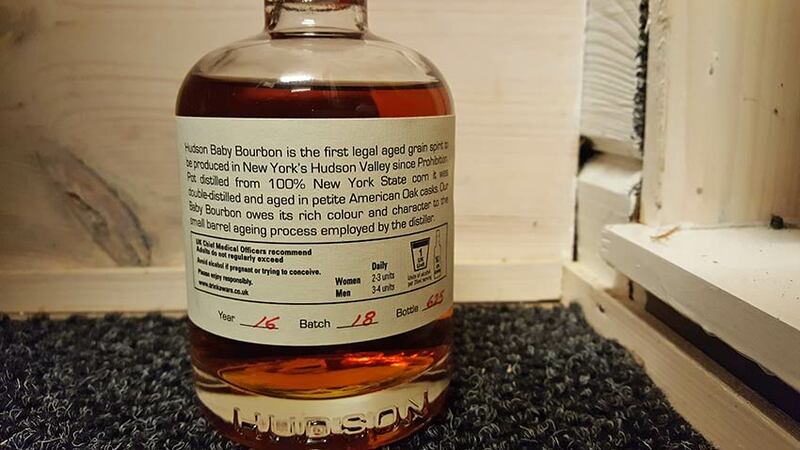 Hudson Baby Bourbon is an interesting expression, aged in small 2 gallon barrels and “sonically matured”. Yes, you read it right! The 100% corn spirit and the casks get some agitation with the help of bass speakers. Every bottle has been hand-filled and numbered, and sealed with a wax. No carbon or chill filtration has been used. Baby Bourbon has won Gold Outstanding Medal at International Wine & Spirits Competition 2013. It is an exciting dram. Fresh and lively one. Still a draft of an whiskey on the palate but the aromas are quite good. Definitely a conversation starter because of its uniqueness. This corn whiskey has personality, even though it isn’t quite ready yet. The producers of this American bourbon have done things their way, uncompromising yet experimenting. Writing their story in a unique and interesting way. Hudson Baby Bourbon in question is Batch 18 of 2016, Bottle number 625. Nose: Starts with fresh aromas of Juicy Fruit bubble gum, which turns into sugary corn. Bit spicy and nutty. The corn really dominates, with hints of vanilla and new oak. Drops of water add marzipan notes. Taste: Mix of spices and marshmallows. Rough with corn and heavy cinnamon notes. Few drops of water tones it down a bit but the rough corn notes are still present. Marzipan and fruity notes. Finish: Quite fast, which is bit of a surprise considering the palate was so rough and characteristic. Spices, oak and mint. Balance: Packs some big spicy yet sweet character, but not in best balance. Feels very young like it is, even though folks at Tuthilltown have tried to speed up the maturation. Like a draft version of something great.